All year round special offers from £99.00 double or twin- midweek. T&C apply. NEW FEATURE- check online and book via our secure online facility, offering a 10% discount for 2 or more nights! If your prefered room configuration appears not to be available let us know, some rooms can be doubles or twins. 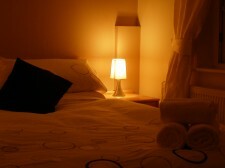 Single room from £30.00 per night, minimum 2 nights, room only, call for availability. Minimum 2 night stay at weekends and during special events, please enquire for 1 night stays as occassionally rooms can be vacant. For competitive prices please ring 01704 530219, Or view the contact page (top right of screen) for our email address. Emails may be replied to via a different address, please check your spam box. All prices are seasonal and subject to change/availability. Cash, or cheque are prefered although we do accept most major cards. (min £2.50 charge per credit card transaction). Special events include- Grand National, Conferences,Woodvale rally, Airshow, Flower show, Firework championships,Bank Holidays,National holidays,Southport weekender, Festival weeks,Golf tournaments, etc.